Huadong Cable Group is a joint stock enterprise, integrated in cable production, research & development, and domestic & international trade. Zhengzhou Hongliang Cable Co.,ltd is one of the branch of Huadong cable group, and also one of the biggest professional import and export trade company in China. The plant was founded in 1988, occupied 50,000 square meters, separately Located in Zhengzhou industrial area. 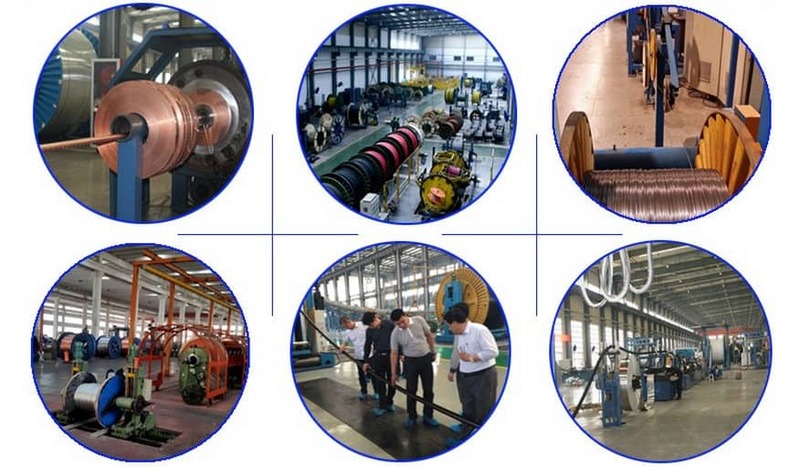 It has 20 sets production lines with advanced equipment and 25 sets testing machines. Annual production capacity is more than 12 million kilometers. Our international branch is located in Zhengzhou city, which is well-known for convenient transportation. We mainly produce and export power cable, all aluminum conductor(AAC), aluminum conductor steel reinforced(ACSR Conductor), all aluminum alloy conductor(AAAC), overhead Aerial bundled ABC cable, 1-500kV power cables(including XLPE insulated cables, PVC insulated cables, SWA/STA armored cables). (XLPE/PVC insulated ABC cable), control cable, welding cable, rubber cable, mining cables, electrical wires(PVC sheathed flexible cable), OPGW and special cables. These cables can be used for power transmission line in air, underground and industry, such as power station, railway, agriculture, and building. Our products obtained I S O 9 0 0 1: 2 0 0 2 and CCC, PCCC, SGS, BV certificates. We will manufacture power cable products according to GB, IEC, BS, ICEA, ASTM, DIN, VED, JIS standards strictly. And we also can design and produce power cables according to your requirements. We have exported wires and cables to European, South America, North America, Middle East, Africa, Asia, Oceania countries, etc. We are adhering high quality and best service to make our HUADONG CABLE be famous all over the world. Thanks for your supporting and trusting! HUADONG CABLE welcomes your inquiry and visit. We are at your service at all times! Supply quality products with competitive price & excellent service.